* Have you ever noticed people who simply make you feel good by just looking at them? * Have you ever observed someone for the first time and knew there was something off with this person, even though that particular person never said a word to you? As more experiments are conducted within this field, we are finding more and more astonishing results. For example, Russian professor Konstantin Korotkov found that upon death, the human aura will continue to change for approximately 72 hours after being pronounced clinically dead. Everything you know and see can boil down to energy. Plants, trees and even inanimate objects such as gemstones, can exhibit an aura. 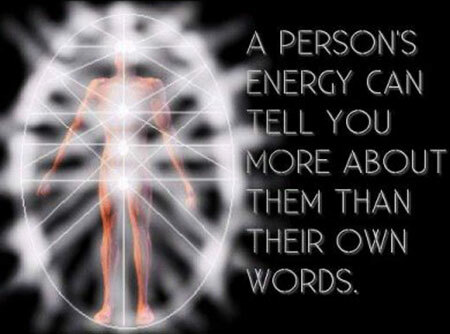 Your aura is a body of energy generated around you. It is basically the world’s best detector of human emotion and can show the “real you” no matter how hard you try to hide it. For example, I was at a conference a few years ago and noticed the aura of the woman who was taking publicity photos. Her aura was a dark red. I asked the woman I was with, if she could see this photographers aura as well, and she confirmed the same color. Hi, how are you doing?” to which she responded how she was out late the previous night and was really tired today. Her aura, however, said that she really didn’t want to be there that particular day. Even without seeing her aura, one could sense her energy, which may be more apparent to empaths than to others. Perhaps empaths are more sensitive to the auric field? This, in turn, may help to explain how auras and energies can affect other people for what seems to be no apparent reason. For example, an empath will take on the energies of everyone, including the good, the bad and the ugly energies. A skilled empath will acknowledge them and will know how to discharge or deflect these energies while most people unknowingly absorb them. Through Kirlian photography, the human aura can be photographed. The colors of your aura reflect the colors in the chakra system. As mentioned, the aura follows the colors of your chakras and will give you an idea of where you are at and what you can do. Keep in mind that there are no “bad” aura colors because we can learn something from each color. If your aura is in the lower three chakras (red, orange or yellow) then chances are, you are undergoing physical plane experiences that relate to survival, sexual or emotional issues. 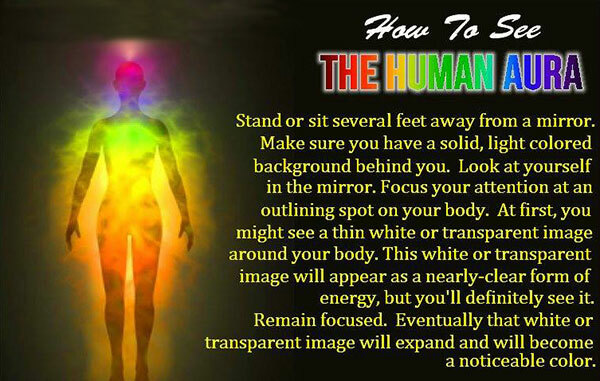 You may notice that your aura varies from one color to another. For example, my aura is either green or blue. Chances are, your aura may fluctuate from one chakra to the next, but it will be an adjacent chakra. In other words, if your aura is orange one day, it might be either red or yellow on another day. It takes a lot of inner work to reach the higher auric planes but it’s something that anyone can accomplish.